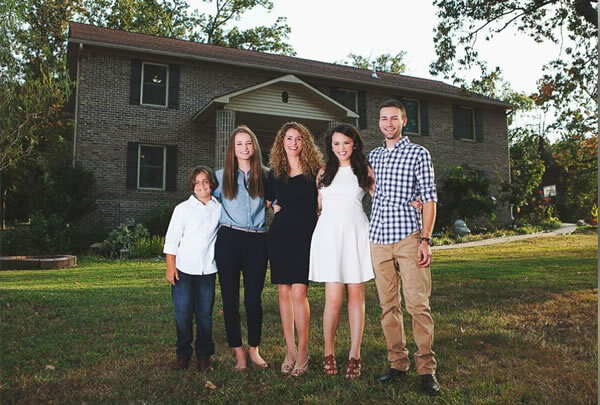 Meet Cara Brookins – an Arkansas-based mother of four who did something so extraordinary, it left thousands of people in awe. After abusive relationships, two marriages filled with violence, and being stalked by a man with a mental illness, “my kids and I needed something,” Cara said. “I felt ashamed and I was worried that they had no self-esteem and no confidence.” So, the woman set out for a fresh start for both her and her family. Unfortunately, Cara couldn’t afford a new house but that didn’t stop her. Instead, she decided to build one – on her own with zero experience and zero knowledge. It all started in 2007 when Cara spotted a tornado hit house with only the foundation left… “It made me think, ‘what if we bought some 2’x4’s and sheetrock and put that together? What would our dream house be? Would we want to build it?,’” Cara said. Her kids (then 2, 11, 15 and 17) were absolutely up for it, as after all the domestic violence, this was a way for them to improve their lives. You can read more about Cara and her family in her new book called ‘Rise’, which will be available to purchase through Amazon on January 24th. 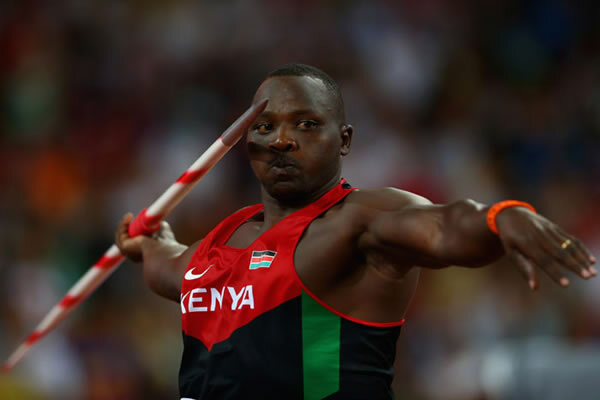 Kenyan javelin thrower Julius Yego won gold at the World Championships in Beijing on Wednesday with a new African record throw of 92.72 meters. Yego’s win puts him in position to become the first Kenyan to win an Olympic gold medal in a field event, the Washington Post’s Matt Bonesteel points out. Yego’s rise to fame is a bit more unconventional than the standard javelin medalist. In 2013, a year after qualifying for the 2012 London Olympics for the first time, Yego told CNN that he is self-taught and relied on YouTube videos to perfect his technique. Yego, specifically, found inspiration in Andreas Thorkildsen, a Norweigian javelin thrower who competed in the 2004 and 2008 Olympics. Yego would watch videos of Thorkildsen throwing, taking notes on his technique and training methods. 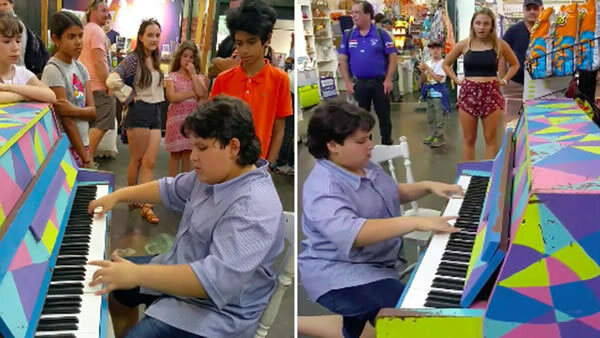 An 11-year-old piano prodigy whose impromptu public performance went viral has revealed he taught himself how to play by watching YouTube videos. Louis Rebeiro was walking through the Fremantle markets with his cousins when he saw a piano and decided to have a quick jam, unknowingly attracting a huge crowd who filmed his remarkable show. For more than eight minutes, a transfixed crowd watched on as the boy treated them to a performance you’d usually have to pay for. “One more, one more, please,” members of the crowd begged every time he ended a song. After watching his dad belt out tunes by Ray Charles, Jerry Lee Lewis and Chucky Berry, the Perth native shunned piano lessons to teach himself. “Just by ear... I just looked up stuff on the internet and from there it just came to a basic left hand which is what you should always begin with,” Louis told Sunrise this morning. Playing for less than two years, his mother Lorena described their star performer as an “old soul” and a “gift from god” for sharing his gift so willingly. “We can’t believe the response Louis has had... he’s not even fazed, he just keeps saying take me back to the piano, I just want to play,” Lorena replied to the overwhelming show of support on Facebook. The original video has since been viewed more than 20,000 times since it was shared on January 8. In a bid to fulfil his childhood dream of flying a plane, an Ethiopian man has taught himself how to build one mainly by reading aviation books and watching YouTube tutorials! Public Health Officer and Ethiopian Airlines Aviation Academy reject Asmelash Zerefu set about learning to build his own aircraft over a decade ago. It was a daunting challenge, but he has managed to achieve the unthinkable – he single-handedly constructed Ethiopia’s first ever home-built aircraft from scratch. Zerefu’s social media profile is proof enough of his obsession with aviation – it is full with pictures of his own attempts and failures, and praise for his heroes, the Wright Brothers. His only goal since childhood was to become a pilot, so despite his high GPA, he dropped out of university to join the Ethiopian Airlines Aviation Academy about 15 years ago. Sadly, he was turned down because he was one centimeter short of the minimum height requirement. But Zerefu refused to let this setback alter his ultimate goal. “That was a turning point,” he told The Telegraph. “That was when I decided to build my own airplane in order to fulfil my lifelong dream of flight. This was in 2001.” He pored over FAA (Federal Aviation Administration) maintenance books, searched the internet for aircraft blueprints, and of course, watched hundreds of tutorials on YouTube. He then collected all the materials he needed and spent over a year working on them until his dream flying machine was finally ready. As a part of the process, Zerefu incorporated the design of the Clark-Y Airfoil Wing into his own unique plans. He also scoured garages, workshops, and Merkato – Africa’s largest market – for new and used materials to build the aircraft. He first constructed the fuselage from wood and then mounted it on the modified wheelbase of an old Suzuki motorcycle. The wings took months to complete, and once they were ready, he attached them to the body. Then, Zerefu focused on building the engine. “My aircraft is powered by a second-hand Volkswagen Beetle engine,” he explained. “It is a horizontally-opposed 40 horsepower engine; 4 stroke, 4 cylinders and it can run at up to 3,000 rpm.” For the final touches, he added a handmade and conditioned laminated wooden propeller before giving the craft a final coat of white paint. Although the aircraft is ready, Zerefu is yet to fly it successfully. He tried flying it in June this year, but the propeller shattered due to friction and damaged the plane’s smoke exit structure. He was forced to return to the drawing board to make more changes, but he’s determined to fly the K-570A at least once before the year is up. 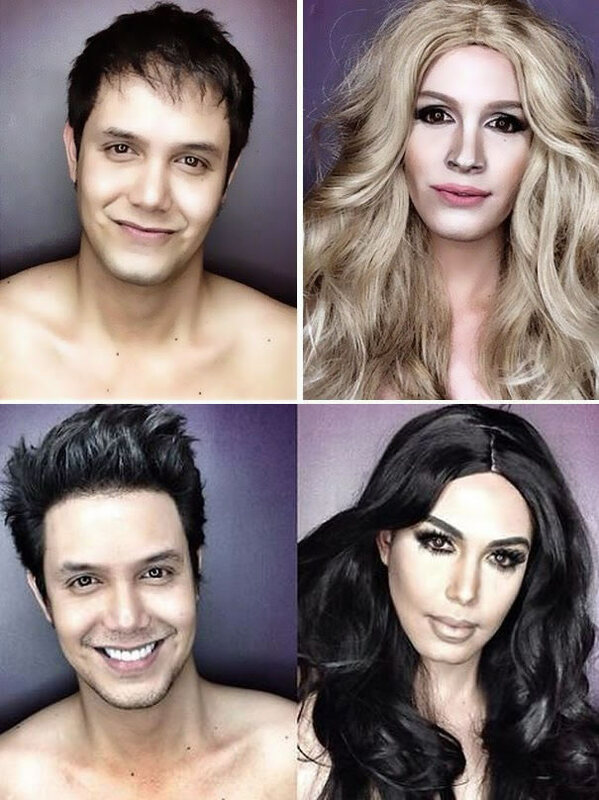 31-year-old actor and TV host Paolo Ballesteros specialises in transforming himself into female celebrities from around the world – including Miley Cyrus, Taylor Swift, Beyonce, Katy Perry, Jennifer Lawrence, Julia Roberts and more. Believe it or not, there’s no Photoshop involved; Paolo uses only wigs, makeup, and colored contact lenses to complete the stunning transformations. Paolo is the host of a popular TV show in the Philippines called Eat Bulaga. His transformations actually started as a segment on the show Super Sereyna, where he would surprise audiences with his mind blowing makeup skills. Paolo revealed that he is self-taught – he learned to apply makeup by watching YouTube tutorials, and he does it all by himself. He also posts ‘before’ and ‘after’ pictures of each of his transformations on his official Instagram account, where thousands of followers express their awe of the fact that he can be so handsome and pretty at the same time. Phillip Haumesser, a father from Missouri, has captured the attention of thousands after sharing the incredible portraits he has taken of his young children. And while his photographs are worthy of a gallery, many are surprised to find out that Mr Haumesser is a self-taught photographer and only started learning in 2015. 'I started photography in late 2015 after my wife told me she wanted me to start taking some pictures of our kids while they were growing up,' the award winning natural light photographer explains on his website. 'So we got a decent little starter camera, a Samsung nx500 and started taking some photos. 'I decided I would start trying to capture our children in the most magical and mysterious ways that I could,' he explained. Speaking to Daily Mail, Mr Haumesser said one of the most helpful things he learned was setting his camera to manual mode. 'I'm a control freak and I didn't like the idea of some algorithm deciding how my photo was going to look and forced myself to learn it,' he said. 'Then I turned to YouTube, I'm a visual learner so the videos were incredibly helpful. I started watching everything I could find on photography and eventually found Flearn, their videos we're the most helpful when it came to learning Photoshop. Mr Haumesser also penned an article for Bored Panda, where he said he knew 'nothing about photography or the art of photography' before researching. 'I started watching videos and finding any kind of training photography that I could and just couldn't seem to get enough of it,' he wrote. 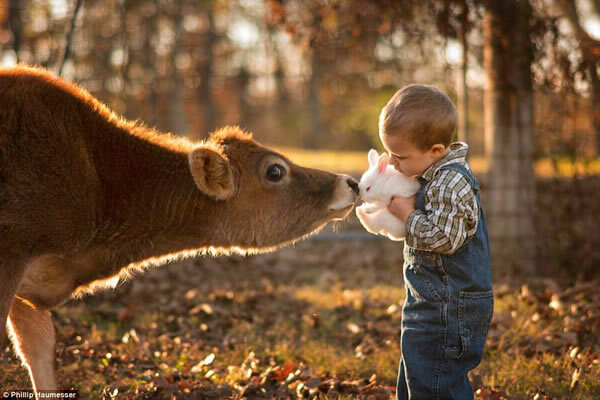 Just one year on and his dedication has led to a stunning portfolio where his children are pictured playing with animals and posing candidly on their property. In one snap his eldest son, three, can be seen playing a mandolin by a tree while in another, his younger son, one, is captured playing with a dandelion as the sun sets behind him. At a glance of the photos it is hard to believe the photographer has been perfecting his craft for just 13 months. Adilyn Malcolm: You might not know her name, but you definitely know her mesmerizing videos, which have blown up online with millions of views. The 12-year-old has become a viral sensation for her dubstep dance moves — the pop and lock techniques require an incredible amount of coordination that many much older than Adi (*raises hand*) could never accomplish. "It all began with a report for Michael Jackson," Adi said, "and I went on the Internet, and I fell upon dancing to dubstep and I just started practicing and going on from there." Adi added that the advantage of learning online is that she can watch the same moves until she perfects them. "I just go on YouTube, look on random stuff like 'how to dubstep,' 'how to pop and lock,' and to learn the move, I usually watch the video over and over and over." The dancing queen hopes her moves inspire other people to pursue their passions and consider using the Internet as a guide. "Honestly, 'cause I've learned this whole thing on the Internet, and the Internet is my generation's [way of] learning these things, I think I can show people that you can do anything if you really have the passion for it," Adi said. he Internet is awash in helpful how-to videos on everything from boiling an egg to rebuilding an engine — to performing a nose job. 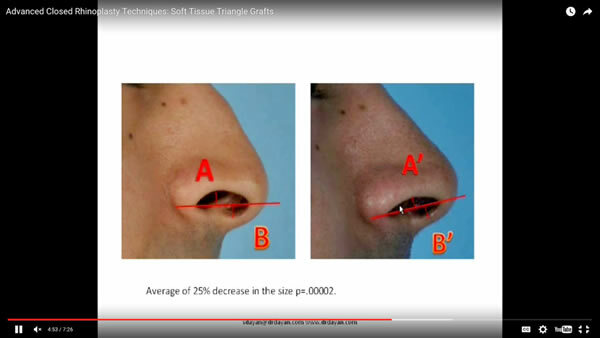 A new survey finds that more than half of plastic surgeons have used YouTube to learn a new technique that they then go on to perform on patients. In a survey of 200 plastic surgeons, Dr. Anita Sethna and her colleagues at Emory University found that approximately 64 percent of respondents had learned from online videos. Most commonly learned online? Nose jobs (rhinoplasty) and injectable procedures, such as Botox, the authors report in JAMA Facial Plastic Surgery. Though that may sound alarming, Dr. Michael R. Zenn, vice chief of plastic and reconstructive surgery at the Duke University School of Medicine, said for practicing surgeons “these videos are just one piece of the puzzle.” Zenn said he has used videos to learn new surgical techniques, thanks to their convenience, and since 2013 has been making and posting his own videos to YouTube. Zenn pointed out that surgeons have all gone through extensive training, and that, as continuing education, online videos are not that different from older training methods. Surgeons traditionally pay fees to go to professional meetings where they listen to lectures and watch accompanying videos. In many cases, watching a video online accomplishes the same thing. However, some have expressed concern about the quality of resources available on the Internet. A 2012 study of YouTube videos about tonsillectomy, for instance, found that they ranged widely in quality, though only a few were deemed “misleading.” Other researchers have cautioned that posting these videos might harm the professionalism of surgeons or encourage the public to perform DIY medicine at home. The Internet is “the wild west” of information, acknowledged Sethna. She’s encouraged, though, by the initiatives of some medical societies to improve online video by launching websites, like the Plastic Surgery Education Network, that feature videos vetted by board-certified experts. 0 Response to "8 Admirable People Who Learned Skills From Youtube"